Do people want to be kind, or do they feel they should be kind? 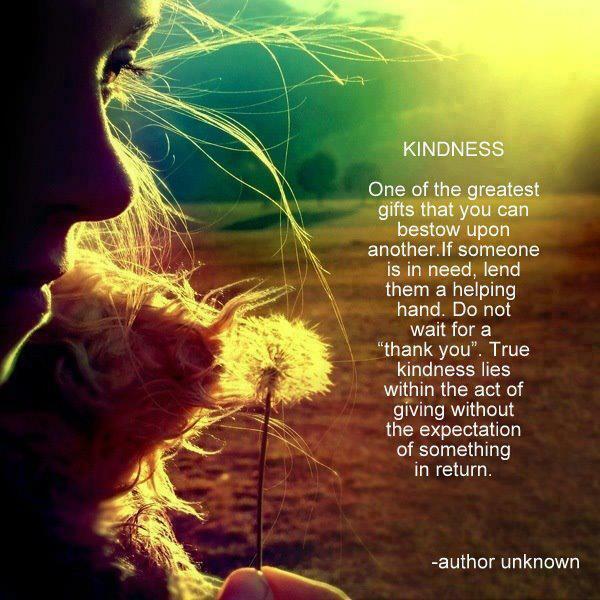 I think people have an expectation of kindness having to be grandiose for it to be recognised as a nice gesture. A random act of kindness – or intentional act of kindness – doesn’t have to be this grand, bank-breaking gesture. 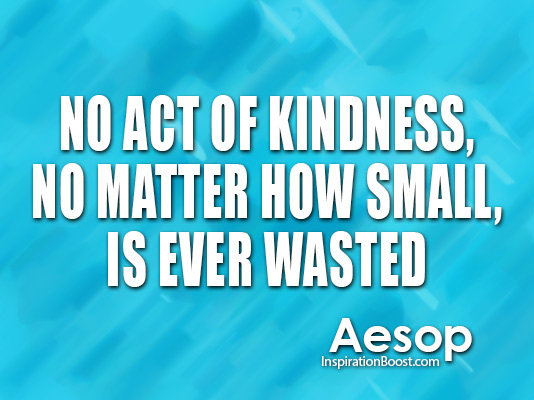 I find it’s usually the little things that make a bigger, more lasting impact. Something as simple as holding the door open for someone who has their hands full, buying a strangers coffee, leaving an uplifting note for someone to find, taking a hot meal and a blanket to your local homeless community, going shopping for your elderly neighbour, paying for dinner for a cash-strapped friend etc, can leave lasting positive effects on both you and the person receiving your kindness. All these little things matter. My question is: Do we really need external recognition for doing a kind thing for someone? Isn’t it enough to know within ourselves? I’m finding that a lot of people are doing kind deeds but feel the need to document it just to show the world how nice they are. The world doesn’t need to know how kind you are. Just act kind and be kind without the expectation of anything in return – that’s not to say you shouldn’t feel good for it, you should, but think of your motives. Do we really need validation from an external source reassuring us that we are definitely good people? Don’t get me wrong – I think it’s brilliant that people are performing these acts of kindness, but when it comes down to it, are people being truly honest with themselves about what their true intentions are? I know a lot of you will be kind because it’s simply in your nature, but, unfortunately there are those in the world who only do kind things because they want some kind of reward for it – whether it be praise or financial gain (like these charity CEO’s who pocket a good £200,000 in annual salary) or some other reward. Whatever the reason I’m glad they’re trying to make a difference, but I want people to think about WHY they’re doing it. Trust me, there’s much greater satisfaction from doing kind deeds and not broadcasting it to the whole world via social media. I realise I sound like a right nag saying that, but surely it should be enough to know we’ve done a good deed? We don’t need validation from the world. We don’t need to affirm and re-affirm to people and ourselves how kind we are. Our ego wants us to do this, but our higher-selves know that we don’t need the recognition. Our higher-selves know we are innately good people and such feelings are the ego’s doing. So, my task for you this week – should you choose to accept it – is to perform a random act of kindness for a complete stranger, but don’t tell anyone and see how it makes you feel. Admittedly this is hard at first – for a chatty, over-sharing type of person like me it was hard to not tell anyone. That was because I liked people thinking what a wonderful, lovely person I was (I was a people-pleaser – I still am, but I’m learning where my boundaries lie now.) Then I stopped telling people because I realised that A: I was actually really awkward at telling people about my good deed because I saw it as a type of bragging, and B: My motivation for it wasn’t on par with who I am as a person. I realised it was another way for my ego to bask in the sunshine of other people’s acceptance. It has now become enough just to know that I have – hopefully – improved someone’s day. I guarantee that by being silently kind, not only will you brighten this person’s day, but you’ll find your day will become brighter too. True enough. 🙂 It’s like how Jesus said it before, not to show it to people you’re doing something good so that the God above will be one to give you the reward, not people by recognizing your good deed.